Please note that tasting tickets for Vino in Vogue are now SOLD OUT. A limited number of tickets will be available for purchase on-site. Sales will be through the Harbor East tent (outside of 850 Aliceanna Street) and will be CASH ONLY. We will open up for ticket sales at 11:30AM. Please note prices increase for tickets purchased on-site. Wine will also be available for purchase by the glass directly from restaurant stations for those guests who do not have tasting tickets. Please see Harbor East booth for a wine cup and have proof of identification ready. For ticket holders, your tasting glass will be used for wine by the glass. Join us for an afternoon of wine tasting & shopping at Harbor East! 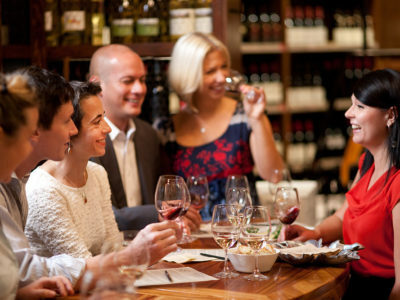 We couldn’t dream of a better way to spend an afternoon… Taste wines from Harbor East restaurants while you swirl, sample and shop (this is Harbor East, after all). This not-to-be-missed fall event is perfect for both serious oenophiles as well as casual wine drinkers looking to mix, mingle and imbibe! Select neighborhood venues will host tasting tables along the sidewalks of Harbor East, with sommeliers and wine experts offering pours of various wines from their respective programs. Guests will have the opportunity to taste and explore different varietals, blends, and regions from over 30 different wines. Love one of the selections? Full glasses will be available for purchase. Complimentary cheese, sweets and lite bites offered inside retail shops, with select stores hosting special sales and promotions. Live music from Nelly’s Echo (as seen on Season 3 of NBC’s “The Voice”) and eats from Whole Foods Market and (new this year!) 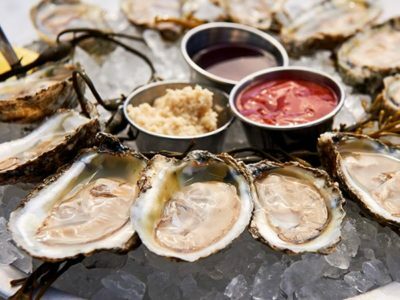 The Urban Oyster make the afternoon a festive fall affair. Event flowers provided by Flowers & Fancies. 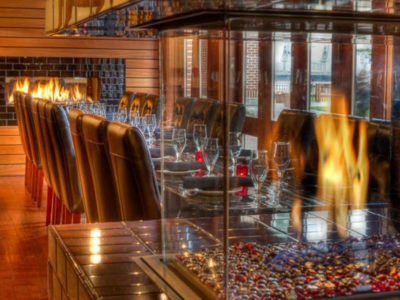 Participating Harbor East restaurants include: Apropoe’s, Azumi, BIN 604, Bond Street Social, Fleming’s Prime Steakhouse, Lebanese Taverna, Loch Bar, The Oceanaire, Ouzo Bay, Roy’s Baltimore, and Wit & Wisdom! 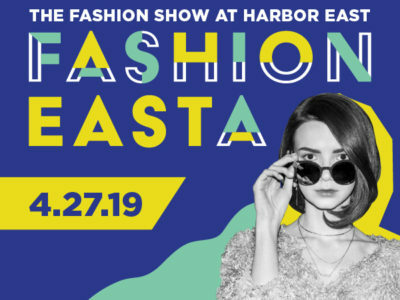 Participating Harbor East shops include: Allen Edmonds, Amaryllis, Blanca Flor Silver Jewelry, Curiosity, Free People, Handbags in the City, J.Crew, lululemon athletica, Lush Cosmetics, Madewell, Sassanova, South Moon Under, Under Armour Brand House, Warby Parker, White House / Black Market and more to be announced! All ticket packages include a signature Vino In Vogue wine glass. A portion of ticket sales to benefit The Great Baltimore Oyster Partnership. All packages include tasting tickets (1 ticket = 1 pour), a signature event tasting glass, and lite bites at retailers. Very limited tasting tickets will be available for purchase onsite the day of the event. 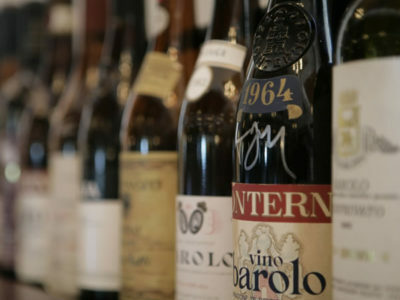 Vino in Vogue sells out year after year – we urge interested parties to reserve their glass early! Allen Edmonds – Save $50 on selected boot styles ranging from the more casual Normandy to the dressier Dalton. Amaryllis – Take 20-50% off select merchandise. LUSH Cosmetics – See store associate for details. Under Armour Brand House – Stop by the Under Armour Brand House Harbor East and show your wine glass for 20% off your entire purchase. Plus enter for a chance to win a free pair of shoes, a $50 gift card for the FX Studios Salon and Spa, and a One-month Membership to the Under Armour Performance Center Powered by FX Fitness! Event check-in will be located at the Harbor East tent on the north side of Aliceanna Street mid-block between S. President & S. Exeter Streets. Here, ticketed guests will receive their signature tasting glass and a booklet of tasting tickets (10, 15, or 20 depending on your ticket package) which you can then redeem at any restaurant tasting station. A map of the tasting station locations as well as information on shopping sales and events will also be available. Please note on-site sales will also be through the Harbor East tent. Tickets are limited and please note we are only able to accept cash. How do I redeem the tasting tickets? Our participating venues will set up tasting stations along the sidewalks in the heart of Harbor East’s shopping district. Each venue will be pouring at least 3 wines to taste at their respective stations. One tasting ticket = one pour of one wine. Redeem your tasting ticket with the restaurant staff and enjoy swirling, sniffing and sampling! Love one of the selections? Full glasses will be available for purchase. Should we plan on being there the full four hours? That depends! The wine tasting portion of the event will not take four hours to “complete”. However, if you want to allow time for plenty of shopping, and perhaps lunch at one of our restaurants, you can certainly make an afternoon of it! Sip a little, shop a little, repeat. This also means that guests do not have to arrive promptly at noon. It’s Saturday…we’re tasting wine…it’s a leisurely sort of affair! Let’s not forget about that! Enjoy complimentary cheese & sweets, plus shopping events at participating retailers! See above for full list of shopping events. This list will be included in your event program. Where can we have lunch in Harbor East? Whole Foods Market Harbor East and The Urban Oyster will be onsite for the event. Additionally, Harbor East is home to many great restaurants that are open for lunch (and beyond). 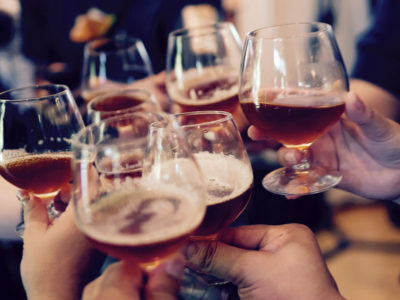 These include: Apropoe’s at the Marriott Waterfront, Azumi, Chiu’s Sushi, Gordon Biersch Brewery, James Joyce Irish Pub, Harbor East Deli, Lebanese Taverna, Loch Bar, Manchurian Rice Co., Ouzo Bay, Roy’s, Taco Fiesta, and Wit & Wisdom. For a full list of restaurants click here. We encourage all Vino in Vogue attendees to please sip responsibly and plan accordingly for transportation to and from the event. If you wish to drive to Harbor East for the day or will be attending with a designated driver, we are directing event traffic to park at the Four Seasons/Legg Mason Tower parking garage. View the parking map here. On-site tasting ticket sales through Harbor East are cash only. For full glasses of wine, restaurant vendors’ policies will vary – we encourage you to bring cash should they not be able to accept debit or credit cards on-site. Please note there are several ATMs on property in very close proximity to the event including Bank of America (MAC Lobby off President Street), Harbor Bank of Maryland (Lancaster Street) and M&T Bank (parking lobby of Legg Mason Tower). Will public restrooms be available? A restroom trailer will be onsite for event attendees. It will be located on the southwest corner of Aliceanna and Exeter Street, around the corner from South Moon Under. We hope to have a gorgeous fall day for our 3rd Annual Vino in Vogue but please note the event is rain or shine, so break out those Hunter Boots and snazzy galoshes! In the event of extreme weather (hurricane, flooding, etc. ), Vino in Vogue will move to the following day, Sunday, November 5th from 12-4PM. Please note we will honor refund requests if the date is moved. It tends to be windy down here near the water – layers and sunglasses are encouraged (and tres chic!). Have another question? Email info@harboreast.com. In partnership with The Scout Guide. Proudly supporting The Great Baltimore Oyster Partnership.